Akliz Server Hosting is my choice for any multiplayer server I use. if you go to akliz.net/tdpreacher and order a server using coupon code "tdpreacher", you get 20% off your first month! And they have a wide selection of games they provide servers for, from Ark, to Minecraft to GMOD and even Terraria, you have a pretty big selection of games to join your friends in! Brave Browser gives you a private, secure and fast browsing experience. It blocks ads, trackers, even malware, and you can directly support content creators (like myself!) when you use it! Click here to download it and start browsing today! 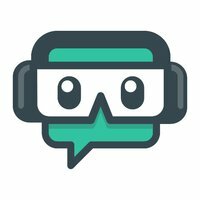 I stream using Streamlabs OBS, and it is the easiest streaming software I have ever used. Super quick to set up, tons of premade scenes and widgets, and it even has alerts and stream chat in the same window! It's one stop shopping for all my streaming needs! And if you click here, download and install it, not only do I get paid, but Streamlabs themselves even donate to charity! So do two good things with one click, and get started streaming yourself! 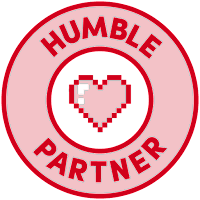 I'm a Humble Bundle Partner! Pay what you want for single bundles, or $12 a month for the Monthly Bundle! Head over here to get the monthly bundle! Every sale that Humble Bundle makes, a portion of the money goes to charities each month, and by using my link, I get a small amount that I can use to get bundles myself, which means more games to play for streams!